Wow! Beautiful piece -- and I love that linework! 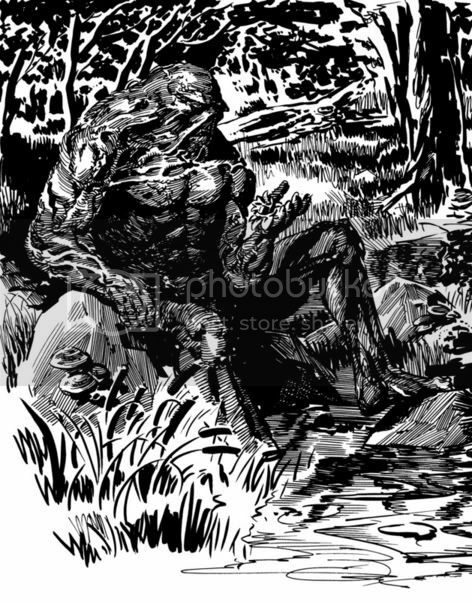 Never has a swampcritter looked so awesome. Wow, thanks everybody!! See ya at MO-Kan Tony!